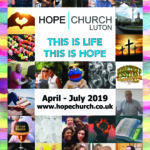 Before you put your cash gift in the offering box, please place your gift into a ‘Giving Envelope’ first. These envelopes are next to the offering box. 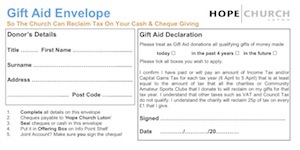 Complete your details on the envelope, then we will be able to claim back tax on your gift.